WMC was founded in January 2016 to offer a novel way of delivering scalable, integrated marketing communications and public relations (PR) services aimed at the B2B Life Sciences and allied industries. We do not require time commitments from clients, and operate with a fluid network of partners globally; billing is based on time and service delivered rather than outdated retainers. Beth Willers stumbled into the industry by accident in 2010 when she decided to transition out of sales and into public relations (PR)/communications. As an account intern in the life sciences division of a boutique B2B marketing and PR agency, she easily fell in love with how diverse the industry is, how the different sectors operate, and how the client work impacts the world. Beth rapidly grew to direct all life sciences division activities at the agency, and in 2016, took a leap of faith to launch a life sciences specific agency, White Matter Communications. Her idea is to deliver a new approach to branding, marketing communications and public relations for an industry that is not served by one-size-fits all communications strategies. As principal partner, Beth drives agency and client strategy in addition to her true passion, providing daily legacy client support. Though not a scientist by trade, she’s taken the time to learn how to “speak your language” with ongoing industry-focused learning and training , including BioBasics certification. Jordan Trevor draws on a background in animal and human healthcare to deliver quality marketing and social media support to WMC clients. 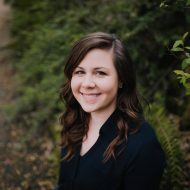 After achieving a Bachelor of Science from Oregon State University with a certificate in digital marketing strategies from Portland State University, Jordan now consults with multiple clients on all things marketing. Her ability to crossover between educational and marketing content development, in addition to core digital and social media knowledge, is valued by the WMC team. 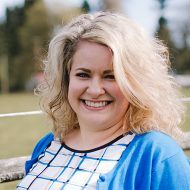 Cynthia is a “full-stack” technical writer with over 16 years’ experience in editing and market research for the chemical and allied industries, including several years of working closely with co-founder Beth Willers. In recent years, she has directed content covering key issues in the pharmaceutical industry for That’s Nice, LLC and written several articles for prestigious trade journals, including Pharmaceutical Technology and BioPharm International. Her PhD in Chemistry from UChicago is a core asset to our team, as Cynthia brings a powerful combination of advanced scientific understanding and skillful content creation to clients. 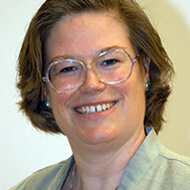 Hilary is a media services consultant based in London and well-known figure in the life sciences editorial community. 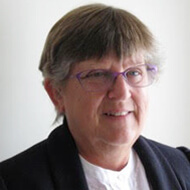 She began her long editorial career in agriculture journalism, which put her on the path to becoming the managing editor for B2B life sciences industry magazines Manufacturing Chemist and Cleanroom Technology for over 15 years. Her extensive knowledge of the English language is complemented by a BA (Hons) from Heriot-Watt University in German and Spanish and her deep familiarity with industry news and trends around the globe is a key asset to our team.